Here in the Midwest, we’re in this weird weather state. Kind of an un-season. My spring allergies are in full force, but I’m wearing sweaters. The next day is sundress weather, which turns to rain, which freezes and turns to snow. You can’t put away your winter clothes or get out your summer clothes. What to wear from one hour to the next isn’t the only issue. We’re stuck between hearty, winter-y meals and light, fresh spring and summer foods. So, in all this chaos and confusion that is my state of being, I’ve got one thing that really works for this un-season. I give you these pork chops. 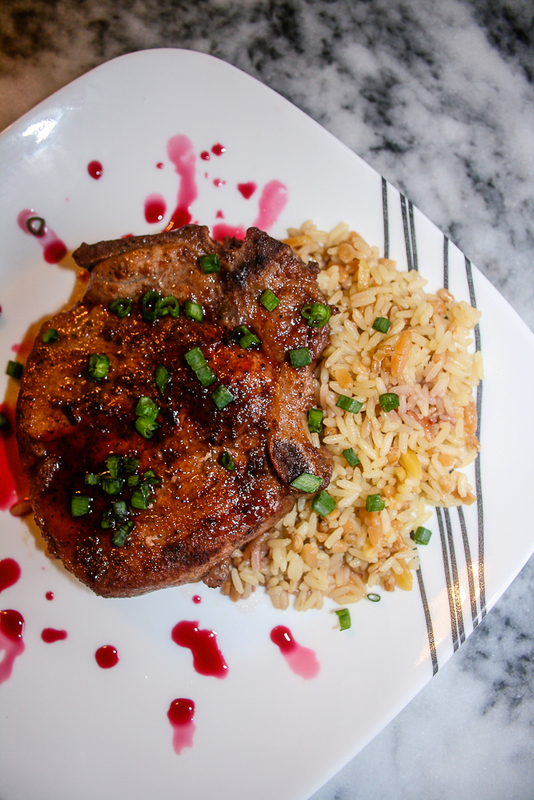 The best of a hearty, warm, winter meal in pork chops jazzed up with sweet, tangy fruit and a kick of spice. Finally, a reason to like the un-season. This meal is so easy and hits all sorts of notes. 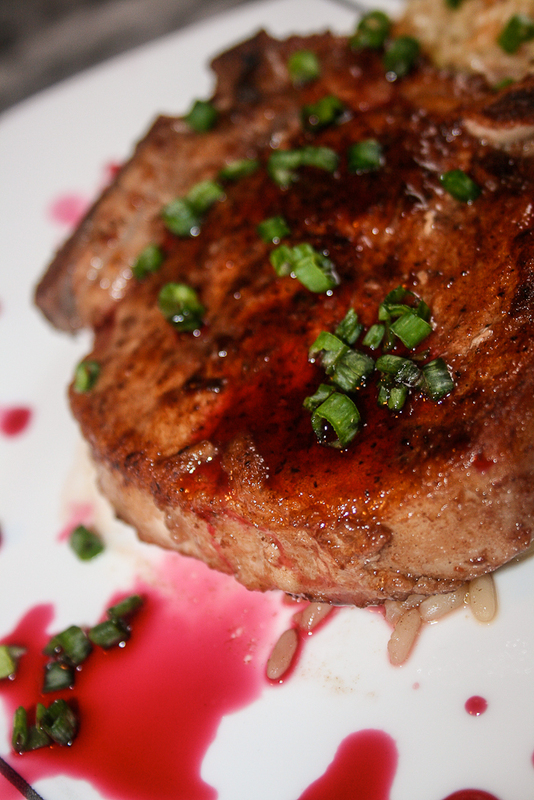 The pomegranate juice is both tart and sweet and is bold enough to counter the heavy nature of a pork chop. The red pepper flakes add heat and green onions balance it out with earthy freshness. I served this over an almond rice pilaf, to soak up all those extra juices. Yum. You better get this cooking before the un-season is over! It will really be a bright spot, I swear. Coat pork chops with about. 1 T olive oil. in In small bowl combine salt, pepper, cinnamon and red pepper flakes. 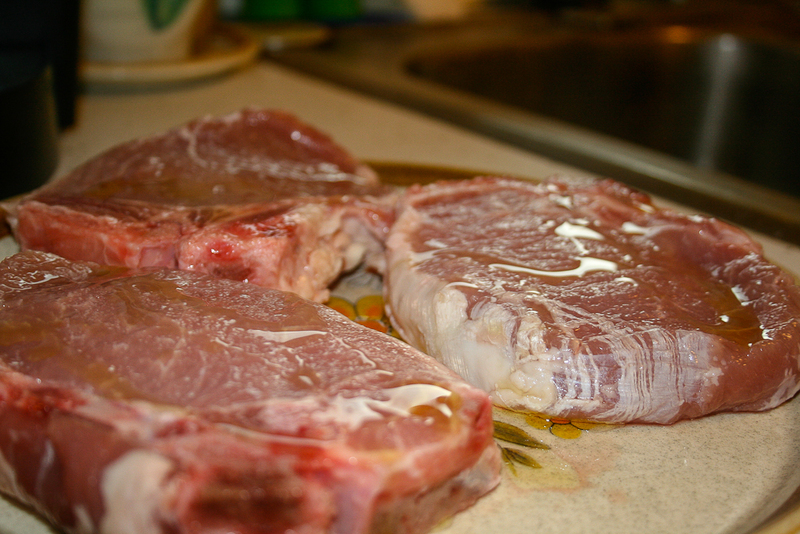 Rub on both sides of pork chops. Add remaining olive oil to a medium-sized skillet on medium heat. 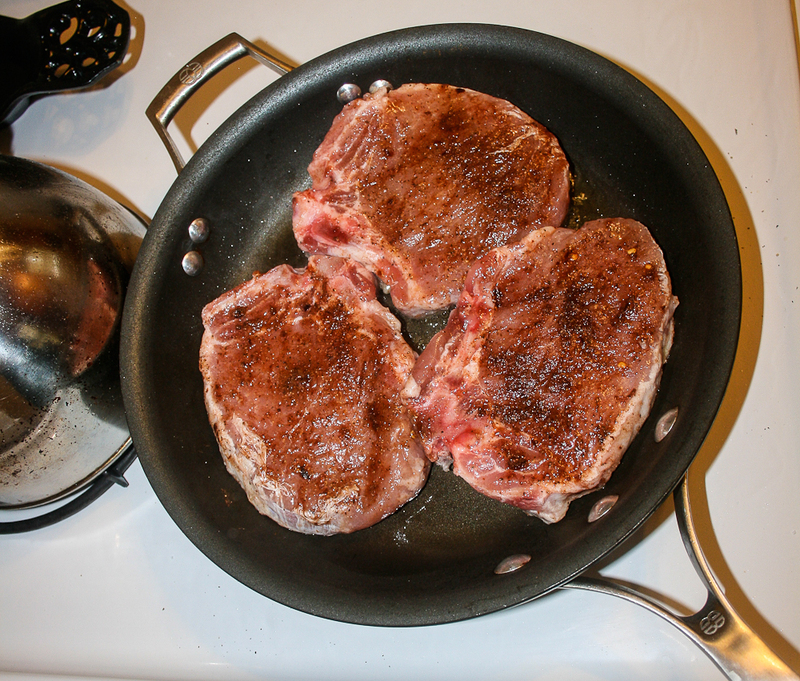 Once skillet is hot, add pork chops and sear until browned (but not cooked through) on both sides— about 6 minutes total. Once seared, remove from skillet and set aside under foil, to keep warm. 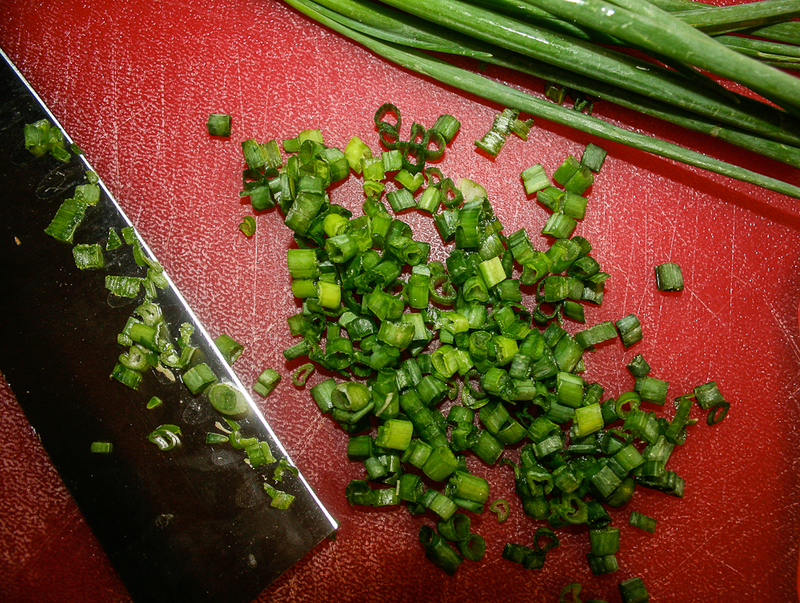 While searing pork chops, chop green onions. Using the same skillet, combine pomegranate juice and sugar. Bring to boil. Boil, uncovered, for 3 to 5 minutes or until mixture is reduced to about half. 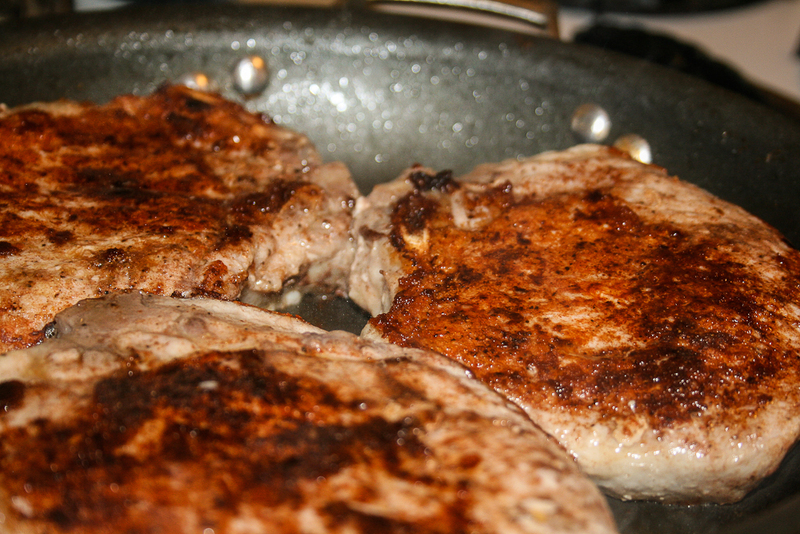 Return pork chops to skillet. Cook, uncovered, 5-10 more minutes until the pork chops are cooked through. 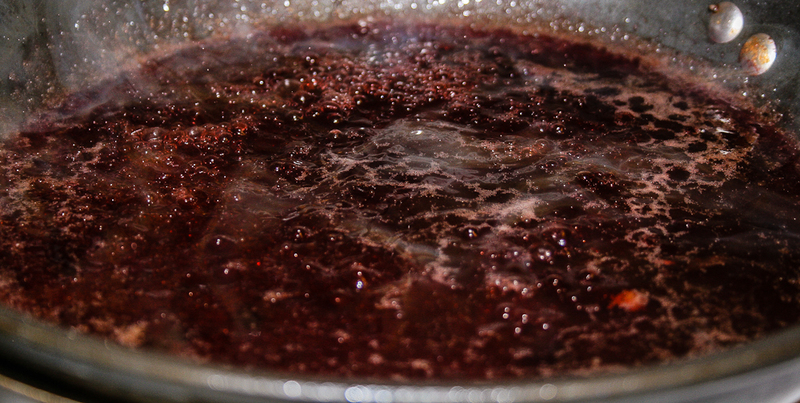 Meanwhile, add pomegranate juice and sugar for the reduction to a small skillet and boil for about 5 minutes, until the consistency is thick and syrupy. 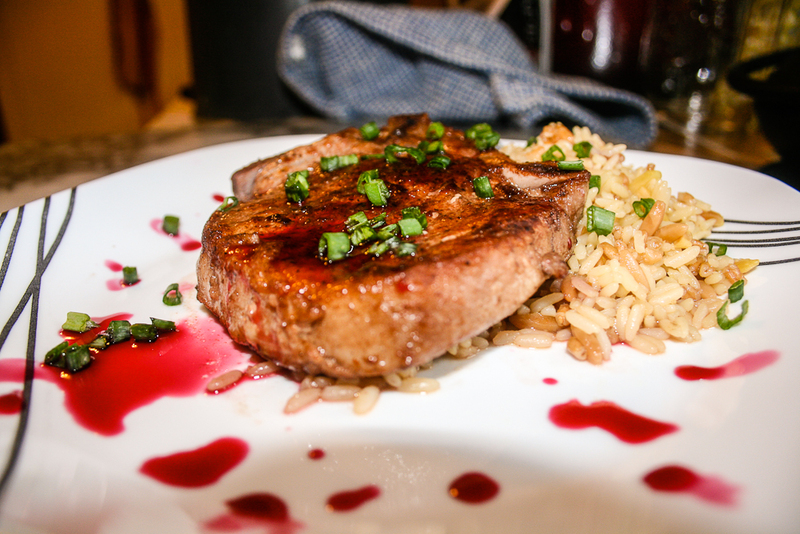 Once pork chops are done, serve over rice or another starch, sprinkle with onions and drizzle with reduction. This is only only one quick remedy. But, if you’re in the same boat, best of luck with the rest of your (hopefully short) un-season!